So what ‘ave we got ‘ere then? Well… other than a truly absorbing display of empathic creativity, with all eight musicians truly on fire, we also have a deeply engrossing hour’s worth of compelling and fascinating music. Eclectic compositions combining World and cultural Indian music, jazz, classical and progressive rock “take the listener on a journey of exotic soundscapes”. 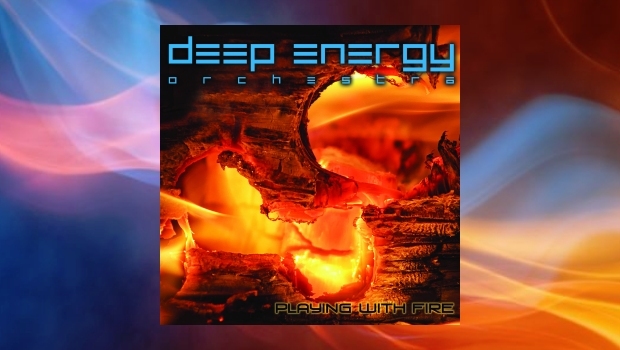 There’s so much to enjoy on Playing With Fire, however one of the striking features of the music is how quickly it draws you into its flames. The Eastern sounds, hypnotic rhythms and subtle grooves captivate, leaving you gently swaying along to their alluring, if not oddly metered structures. The magic is, and for all its complexities, Playing With Fire is ensemble playing at its finest. The album opener captures it all… just take a listen. Joining Jason Everett is master percussionist V. Selvaganesh on Kanjira and “custom kit”. Another unfamiliar name perhaps, however Selvaganesh has previously toured with the John McLaughlin band as well as a member of the the Remember Shakti project. And I do remember, like many children of the ’50s, John McLaughlin’s fiery 1976 Shakti album serving as a serious “introduction” to Indian music. I mention this as V. Selvaganesh is the son of percussionist T.H. Vikku Vinayakram who appeared on the aforementioned album. I digress. Joining Selvaganesh, in the percussion department, is Anil Prassad who provides powerful support on tabla. Okay… if Jason Everett, V. Selvaganesh and Anil Prassad are names that elude, King Crimson’s Trey Gunn will certainly be a familiar one. Did someone mention an orchestra? Not to be taken literally of course, however the string section of Rachel Nesvig (violin), Aleida Gehrels (viola) and Phil Hirschi (cello), serve to coalesce the music immeasurably. Contributing on mass, and or individually, their introduction to this project is truly inspired, and to prove the point here is one such inspired moment as Rachel Nesvig weaves a magical spell. So what else might there be to say? The recording is top notch with each instrument transparent and crystal clear in the final mix. With the exception of two tracks, all compositions on the album are by Jason Everett. Covers include Honor/Amazing Grace and Mahavishnu Orchestra fans will be enthralled by the extended interpretation of Lotus Feet, recorded by DEO at Open Space, Vashon Island, Washington.